This is caused by an outdated installer which doesn’t recoginize SQL 2008R2. Altough installing on SQL 2005 / 2008 will prevent this message there is an alternative. 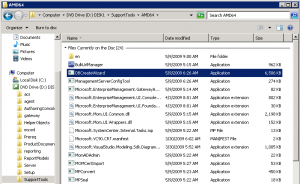 If you browse to the folder SupportToolsAMD64 you will find an executable named DBCreateWizard.exe. 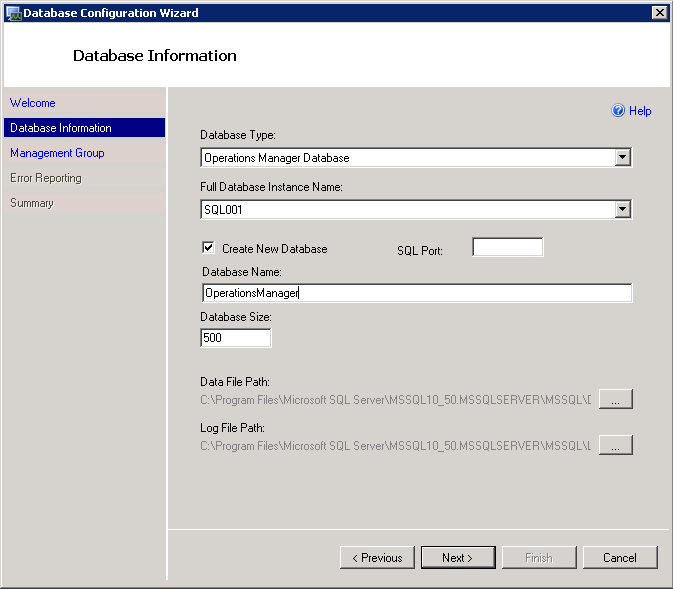 This will launch the “Database Configuration Wizard” without checking the prerequisites. 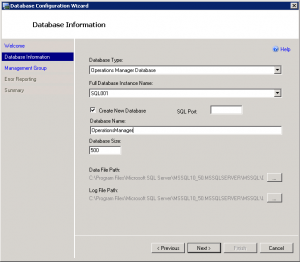 Here you can create a SQL database on a SQL Server 2008R2 without problems. I’ve tested in a lab environment and it works fine. Optionally you can install the Reporting component. 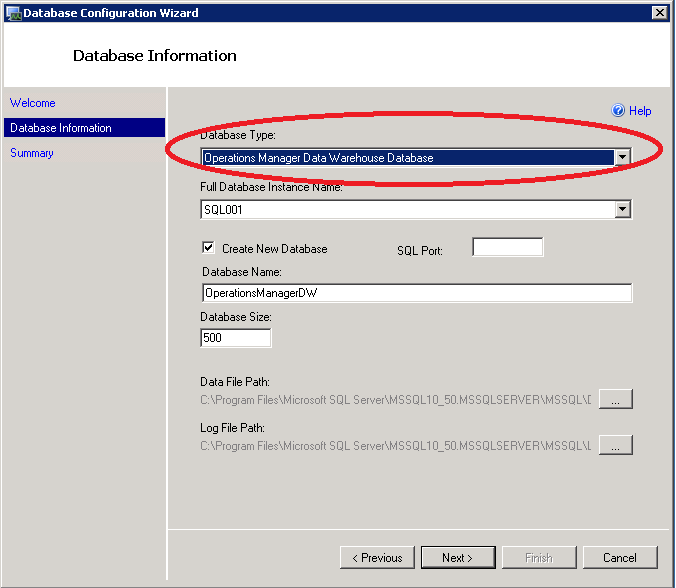 Repeat the same steps as for the SCOM database but select “Operations Manager Data Warehouse Database” as a database type. 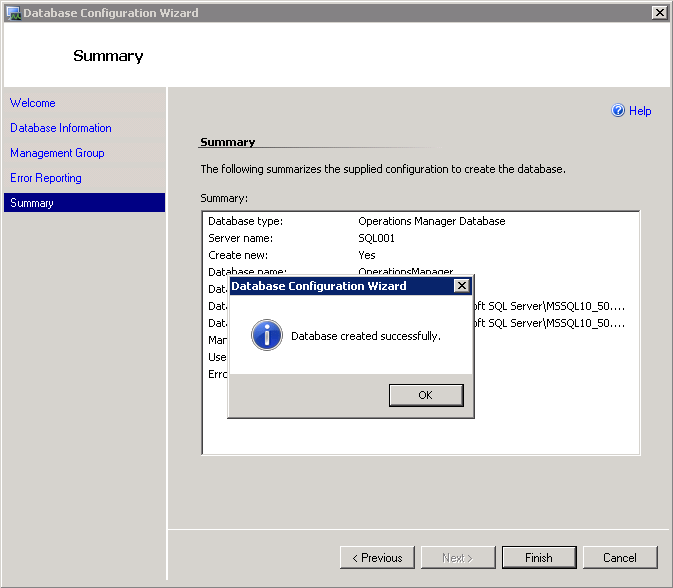 Now you can start the installation of System Center Operations Manager 2007 R2 Reporting. PS: When installing SCOM Reporting on a dedicated SQL Reporting Server the lsass.exed process will get high cpu load when you did not rename the group, so keep that in mind! 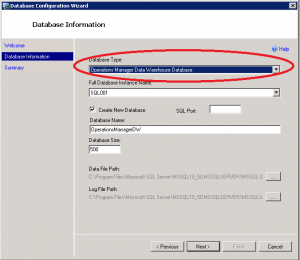 Good Article, this posting help my issue while I install SCOM Reporting on SQL 2008 R2 SP1.